According to the MDA’s March 3 press release, “The purpose of requiring this syndromic reporting is to enable the Maryland Department of Agriculture to make a clinical and epidemiologic assessment in the most timely manner possible and take action appropriate to the specific situation. The reporting requirement needs no laboratory documentation, only a veterinary clinical diagnosis of central nervous system involvement. A full list of reportable diseases in Maryland is available online at www.equiery.com. The wheels of bureaucracy move slowly, but they do move, so long as the citizens of the state continue to demand it. It is our hope that the eventually appointed members of the committee will take their responsibilities very seriously and will be dedicated not only to effective crises management but will also be dedicated to the equally important, albeit more mundane business of routine regulatory issues that are essential for effective health management and industry commerce. 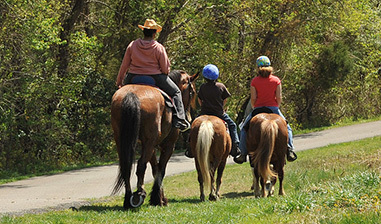 We urge MHIB to appoint committee members with vision and creativity – with the vision to look beyond the immediate issues of to- day to foresee how an issue not a problem today could become a problem in the future, and the creativity to offer practical, implementable solutions that can help improve the future of equine health management in Maryland. oversight system more credibility in the eyes of the general equestrian public. For more information about the original task force, see the June 2005 Front Page in The Equiery’s archives at www.equiery.com. The purpose of the Maryland Equine Health Advisory Committee is to advise the Maryland Horse Industry Board and the Department of Agriculture on matters of equine health and disease in the state. The task force created a structure for the committee that balanced the need for representation of the varied and vast equine interests in the state with a workable size group that can be effective. The Equine Health Advisory Committee is tasked with ensuring the establishment and implementation of effective industry and community communication vehicles, and with review and ad- vising on state policies and protocols regarding reportable diseases, state statutes and regulations relating to equine health, interstate health requirements, the capabilities of Maryland State Animal Health Diagnostic Laboratories, and emergency preparedness protocols. Its first meeting will be in April, 2006. University of Maryland – College of Agriculture and Natural Resources: Amy Burk, Ph.D.
VA-MD Regional College of Veterinary Medicine, Maryland Campus: Katherine Feldman, D.V.M. VA-MD Regional College of Veterinary Medicine, Equine Medical Center: Nathaniel A. White II, D.V.M. MD Horse Industry Board: Erin Petersen, M.S., P.A.S. MD Vet. Med. Assoc. Representative: Amy Polkes, D.V.M. MD Assoc. of Equine Practitioners Representative: Elizabeth Callahan, D.V.M.